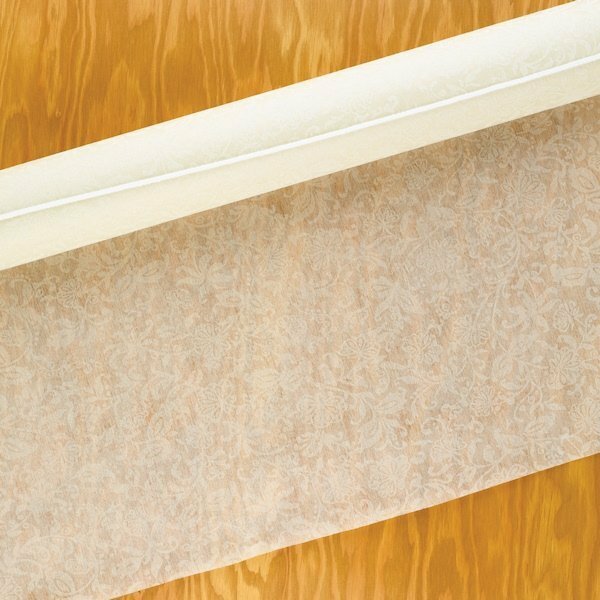 One of our most popular ivory aisle runners! 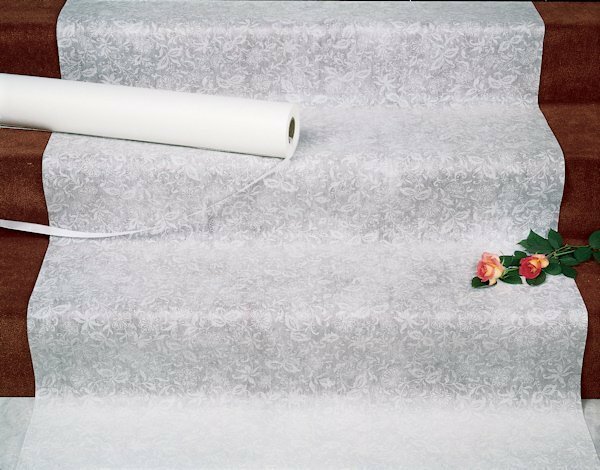 Featuring a delicate lace pattern, this durable rayon fabric aisle runner is available in either white or ivory. 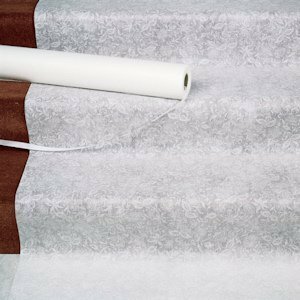 The lace aisle runner measures 3 feet wide x 100 feet long and has a pull cord to make it easy to unroll. Traditionally, wedding guests would arrive at the church and track in dirt or mud from the streets. The aisle runner was first used to protect the bridal gown. Use this aisle runner to add a regal touch to your modern wedding.